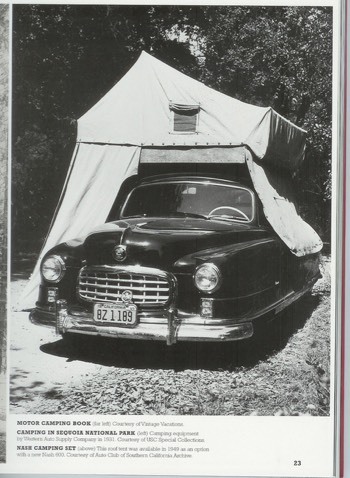 While camping in a tent has been around for a long time, mounting a tent to the roof of a vehicle is something that was developed after WWII in Italy, although there were also examples as early as 1937. 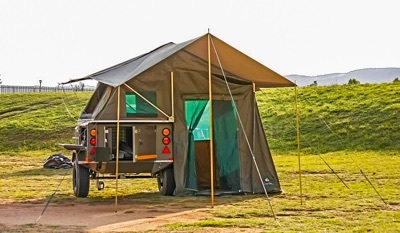 While this style of a tent has not caught on with the general public, they are a popular set up for overland adventurers and campers alike. 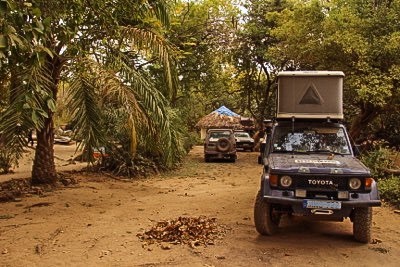 Many overlanders consider them essential gear on their rigs. 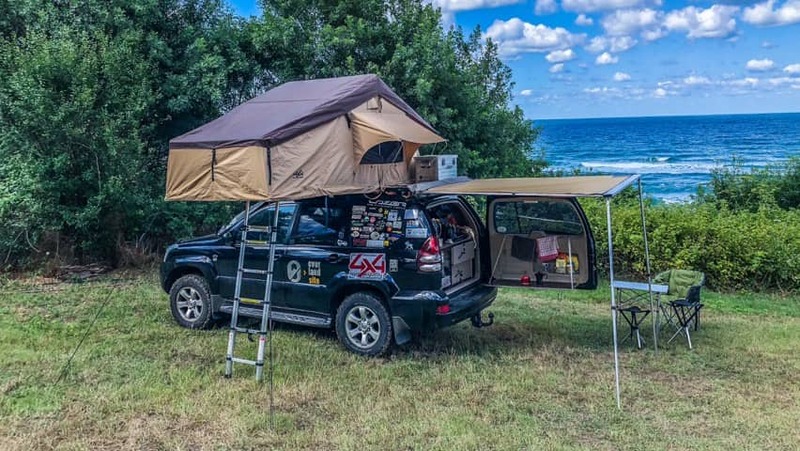 In fact, calling them overlanding tent is pretty common.They also look really damn cool! A question that you may have is, which style is better? There are advantages and disadvantages with both, a round-about way of saying there isn't a clear winner. The answer for you will depend upon your needs. This article is being written to help you compare the two so that you can decide for yourself. 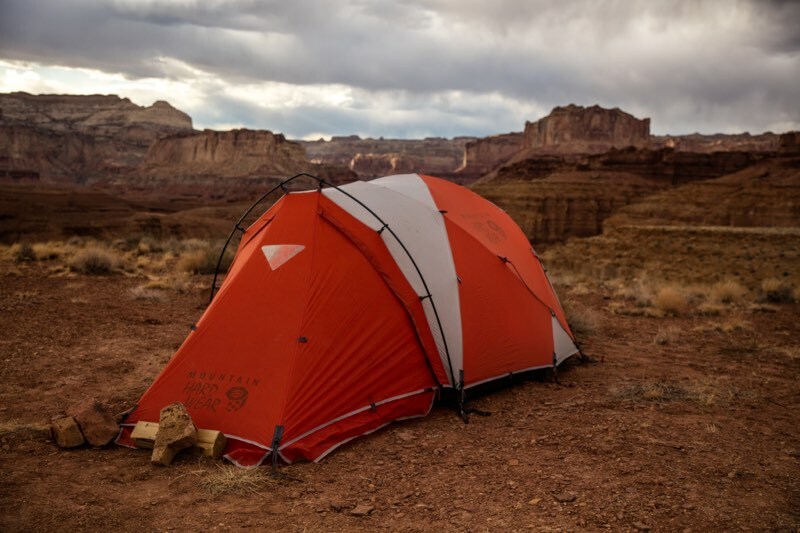 What follows is a general comparison between a ground tent and the fabric foldable rooftop tent (a.k.a. overlanding tent), as well as some extra details. As a general rule, ground tents tend to be a bit harder to set up. They will usually require some type of tarp to be used as a footprint underneath for protection and in many cases will require poles, stakes, and tie-downs. A rooftop tent requires that you fold it open and position the supports. It would be fair to point out that some ground tents are very easy for one person to pitch while some rooftop tents can be more difficult, especially on taller vehicles. Since they do not require as much hardware to set up, rooftop tents are usually quicker to pitch. Time is also saved due to the fact that the bedding can remain in place with an overland tent, while it must be rolled up and packed away when a ground tent is broken down. A ground tent requires a flat surface for a proper setup, something that isn’t an issue with the rooftop units often. Parking with a tire on a log or rock can even things out, or a hole can be dug for a tire to provide an even sleeping surface. 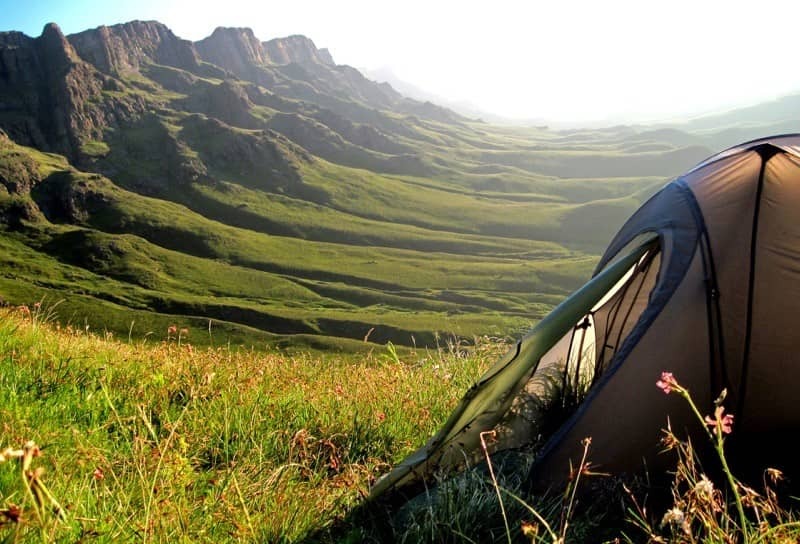 During dispersed camping at a non-designated site, the terrain may not be friendly towards tent poles or stakes. This isn't an issue for a tent mounted on your vehicle's roof. Dust or sand is messy and mud is uncomfortable. The ground is cold and can cause heat loss. This could favor overland tents. One scenario that’s advantageous for a ground tent is in windy areas. While ground tents may need to be secured to prevent them from blowing around, they will not be buffeted or rocked as much as a tent placed on the top of your vehicle. Most rooftop tents have the room to sleep two comfortably or three people in a pinch. There are many ground tents available that can hold three or more occupants with room to spare. This favors ground setups, especially when a family is camping. You won't be able to stand up in a rooftop tent, while many ground tents are made to accommodate the height of an average person. Rooftop units allow instant access to bedding once they are open. Sleeping bags, padding, and pillows must be unpacked to use in a ground tent. On the other hand, to enter a ground tent you simply have to open the flap. Access to a rooftop set up requires the use of a ladder. This can be difficult for those with physical limitations and for those that need to get up in the middle of the night. Another point of access that favors ground models is with exterior vent flaps. These are within easy reach on the ground but can be difficult to reach high up on the top of an overland vehicle. In the case of comfort, the rooftop tent has its advantages. The padding is often built in on the floor and does require packing away during break down. Sleeping bags and pillows don't have to be stored away after use with a rooftop unit; they are simply left inside of the tent. The ground can be extremely cold, especially during the colder months or at high altitude. It also has a tendency to leech heat from the sleeping quarters. 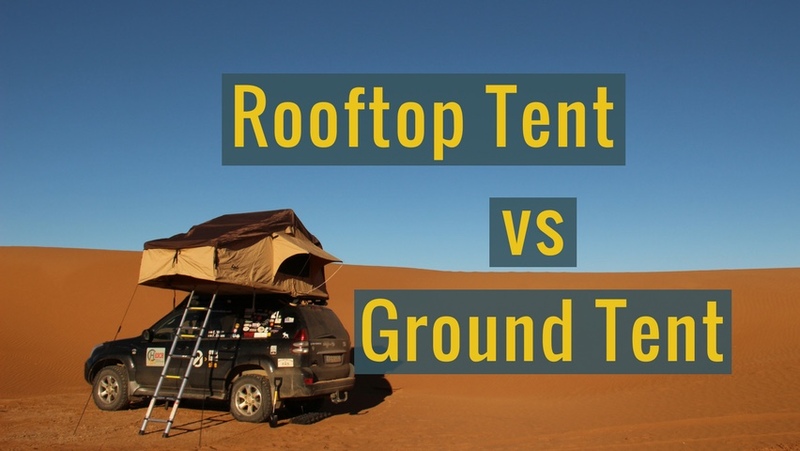 A rooftop model (overland tent) may avoid both of these issues. 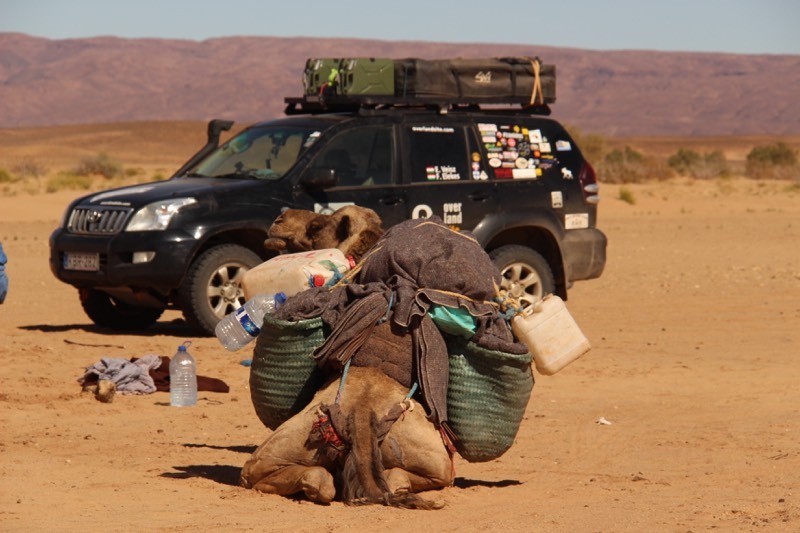 Have you ever had to pack a tent away in the car after it sat in the dust, mud, or sand? This shouldn’t be a problem with a rooftop tent. While both styles of tents will get dirty on the exterior, ground setups often collect more debris that you then place into your vehicle. A rooftop model stays outside. The interior of a ground tent will tend to get far dirtier than one that is off of the ground. Even the dirt and mud that collects on your boots or shoes will get knocked off while climbing the ladder. 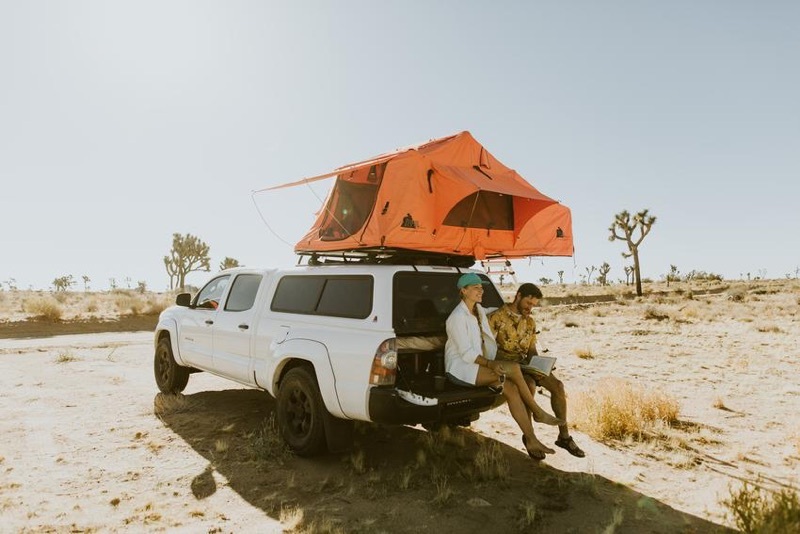 The fact that a rooftop tent is located on the exterior provides more room inside your vehicle (especially since the bedding material can be stored inside of it as well). On the downside, the rooftop model must be mounted on your roof rack which can prevent you from carrying larger items like a bike or kayak. A rooftop tent will most likely weigh more than a ground tent will. What is more, that weight is located high up on your overland ride. This makes the vehicle more top-heavy and increases wind resistance while you drive. 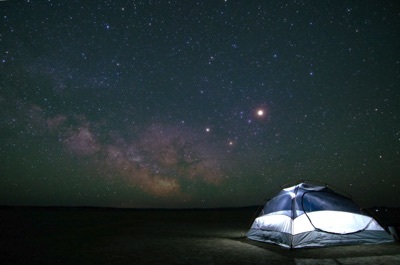 A ground tent, when packed, is much smaller than a rooftop tent is. The extra size and weight of an overland tent will provide a flat surface as well as better weatherproofing, however. In Australia, everything wants to kill you. In Africa, there are plenty of things that want to eat you. Even in North America, there are brown bears, mountain lions, snakes, and scorpions. Many overland adventurers indicate these things as reason enough for a rooftop tent. The question is, are they really critter secure? Venomous scorpions and snakes may find it more difficult to crawl into a rooftop model, but they won't find it impossible. 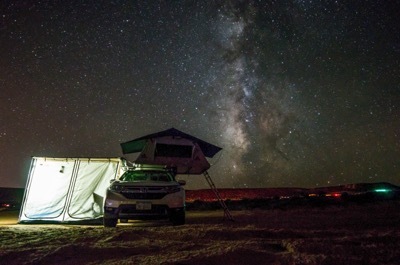 While most predators will not attempt to enter a secure tent, those that are curious will discover access to the top of your vehicle less convenient than on the ground. 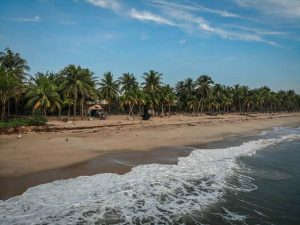 This added security may be more important depending on where your overland adventure takes you. If you feel more secure in a rooftop tent, that is all that really matters for a good night's sleep! One way that ground tents are often superior is when it comes time to leave your camp to explore. A ground tent can stay where it has been pitched while you drive about. A rooftop model must be folded up when you drive away and then set back up when you return. If your travels will include a lot of activities away from your base camp, a ground tent will hold the advantage without a doubt. 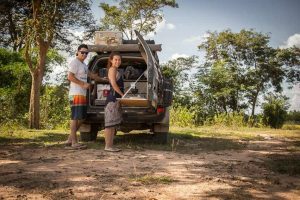 In addition, your vehicle will also always carry the weight of an overland tent. In most cases, you will end up spending considerably more for a rooftop tent than you will for a ground tent. These added expenses would include the ladder but not the roof rack that is required to mount it upon. A sometimes hidden cost will be in the extra fuel it will cost to haul a rooftop tent around (it is heavier and provides more wind resistance while driving). Rooftop tents are usually more durable than a ground set up. One nice thing about ground tents is that they are easier to sell used. 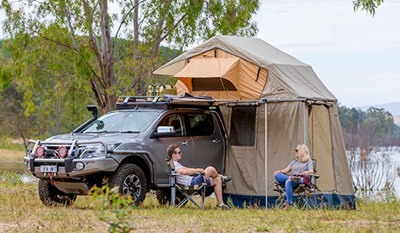 Fans of rooftop tent point out that these models are still relatively unique compared to their ground-dwelling cousins. They add an adventurous flair to an overland rig. For young and old, they provide a fun alternative to a more traditional camping experience found with ground tents. Younger children will be fascinated by a rooftop tent, treating it as a treehouse as much as a place to sleep in at night! Overland tents are simply, fun! If, like us, you love the idea of a rooftop model but are unsure about some of the disadvantages written about above, here are possible solutions that have been created over the years. As mentioned previously, rooftop tents do not offer a lot of room. Additional ground level additions are available that provide the extra room a family would need. These add-ons, called annexe, address the lack of room at a cost of more weight and time needed for set up. 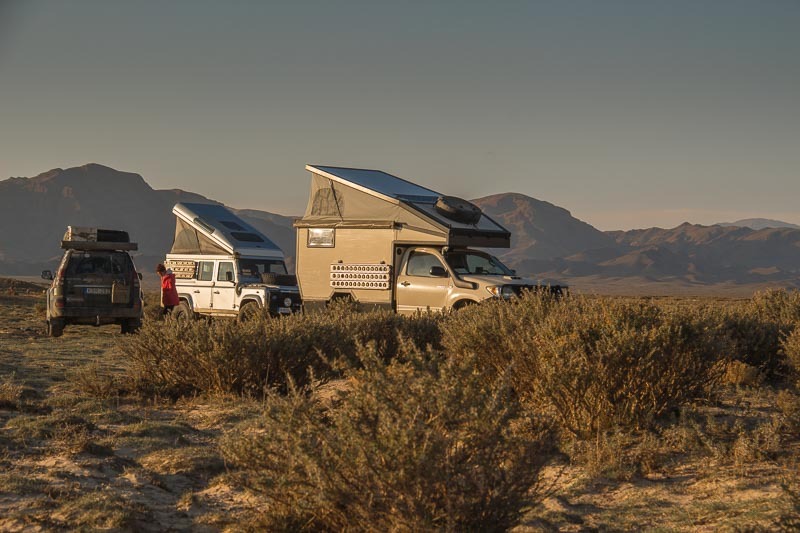 Some overland adventurers will mount two rooftop units on their vehicles; one on the roof of their truck and one that can be set up over the truck bed. By simply attaching your rooftop tent to a tow along trailer, you create a base camp that frees your vehicle for roaming. You simply park the trailer and unhitch it. This also frees up your roof rack to carry other fun toys, like a kayak. It lowers the vehicle profile and your rig will be less top-heavy. Adventure pop-up trailers have a surprisingly long history! A special version of overland tents is the hardshell style. They are sleek and offer a more aerodynamic profile. This will help with crosswinds while you drive and eliminate the extra fuel consumption associated with the wind buffeting. They are usually easier to set up than a ground tent or foldable rooftop model. It also takes less to get them pitched or taken down than either of the other units. These advantages come at a cost. Literally. A hardshell rooftop tent will cost you a fair bit more than either a ground tent or foldable rooftop tent do. Another issue is the size of a hardshell rooftop tent. They take up to twice the room that a foldable rooftop model will. 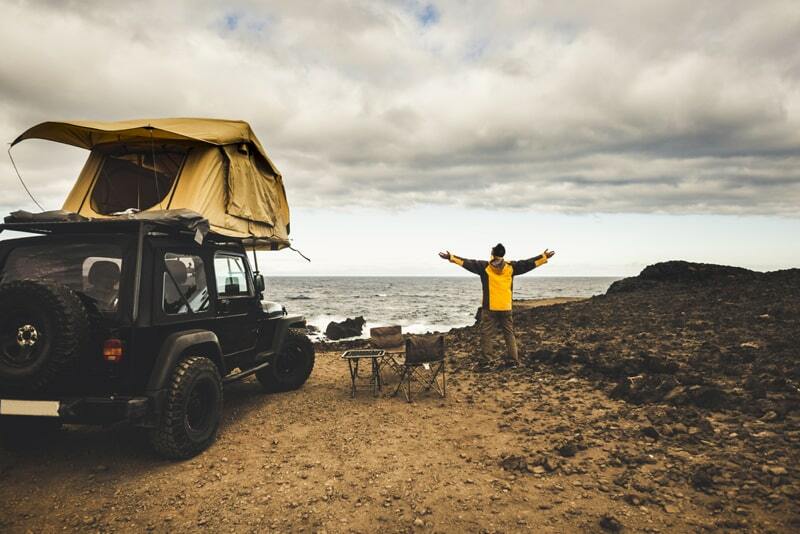 As is the case with many of the outdoors inventions of the last century, the rooftop tent found its origins in the shared love of adventure and driving. As early as 1937, Popular Science magazine reported on a "collapsible tent" that could be folded on the top of the vehicle and was equipped with a ladder. The design never really took off. The earliest rooftop designs that got some traction hailed from Italy. In post-WWII Europe, recovering economies were spurred on in part by a booming automotive touring market. Between 1957 and 1959, two unique takes on the same idea were developed independently from one another. One was a vertical lifting tent design. The "Maggiolina" (often called the "Autocampeggio Stogl" in honor of its creator) would proceed the second design by mere months. A lateral hinged folding tent (the "Air-Camping" design from the inventor Giuseppe Dionisio) followed. The folding fabric and shell models were not in competition with one another and were even showcased in the same booth at trade shows in Cuneo and Milan. The "Air-Camping" roof tent, which was easier to build and produce, was the design that gained in popularity. The roof tent was soon being manufactured across Europe as well as North and South America, but never gained as much popularity as in Australia and South-Africa. In these two countries manufacturers developed further, more clever designs to meet market demands. 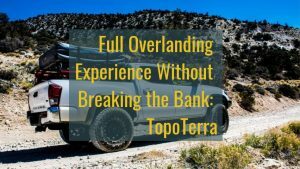 The rooftop tent has built a reputation as a critical piece of overland equipment for automotive adventurers and explorers across the globe! 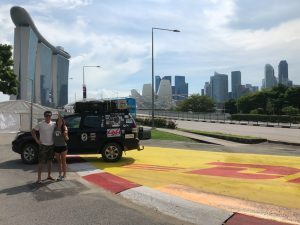 It is our hope that you have a better understanding of what a rooftop tent or overlanding tent is, as well as how it compares to a traditional ground tent. There is no clear-cut winner between the two products. Each has its own advantages and limitations. Which one is right for you? That will depend on your needs. We are not only fans of the rooftop design, we are also rooftop tent users. Beyond the aura and mystic of these tents, there are some very practical features that meet our needs. When you do a lot of overland travel during the year. It is important to have a camping set up that is both easy and quick to set up. Just as important, it needs to be easy and quick to pack up the next morning. 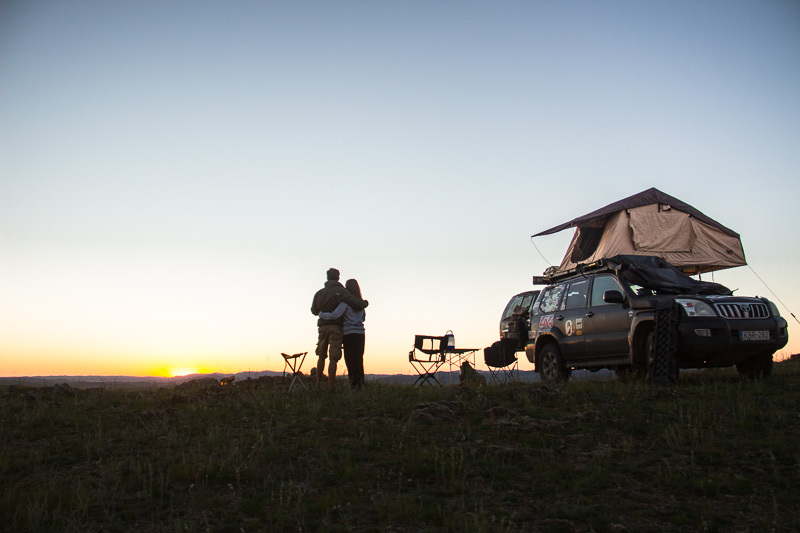 No matter which tent you choose, we hope you're well rested on your next overlanding adventure!